Simmer juice in small saucepan over medium-high heat until reduced to about 3 tablespoons and liquid is a thick syrup. Let cool. When cool, add the remaining dressing ingredients, and whisk to emulsify. Let sit for flavors to meld. Place watermelon on paper towel to absorb excess fluid. Place spinach in a large serving bowl. 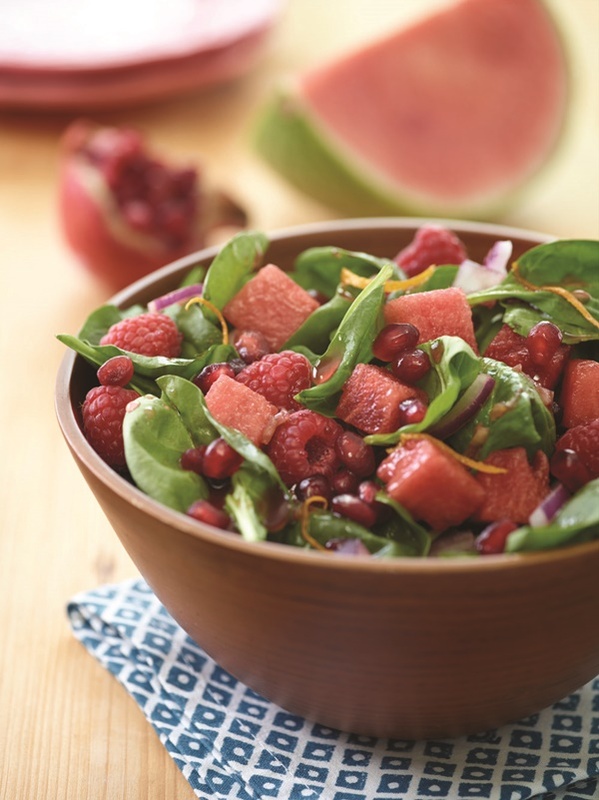 Top with onion, watermelon, raspberries and pomegranate seeds. Divide onto four salad plates and drizzle with dressing.